Desert Fish Studios; Multiple Juno Awards; 3M Visionary Award; AES Platinum Engineers Panel; Visiting Professor, McGill University Faculty of Music; Lecturer, Fanshawe College. 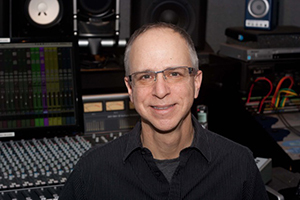 A multi-award winning engineer, mixer, producer, editor, and educator Wolpert has worked with some of the biggest names in today's music industry in addition to a successful career working in film and television. 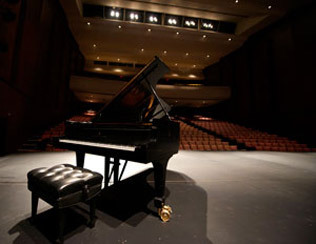 A graduate of Concordia University in Montreal (BFA Studio Music), Wolpert went on to earn his Masters of Music Degree in Sound Recording (Tonmeister) from McGill University in 1982. Upon graduation, he started as a system tech and mixer at PA Plus in Toronto and then joined Inception Sound where during his 11 years there, he helped build it from one eight-track studio into two 48-track studios. He then became the chief engineer at McClear Digital Recording and Post Production Studios, a five-studio multi-format recording and mixing facility. Currently he is the owner and chief engineer of Desert Fish Studios, located in downtown Toronto and opened in 2012. He has 3 JUNO Awards for Engineer of the Year. Known for his mastery of acoustic recording and intricate mixing, Wolpert is also recognized for his vast technical and computer knowledge.